"It's all common interest where people want to do better, work on bigger projects and just helping each other out." 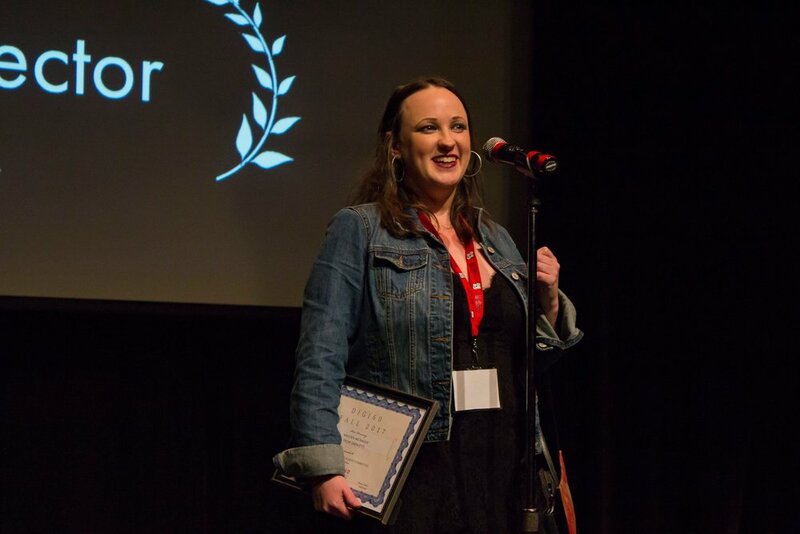 Kristen McNaule has written, directed, and produced several short films which have appeared at a variety of international film festivals, including Atlantic City Cinefest, Toronto Independent Film Festival, Mirror Mountain Film Festival, and the Cannes Film Festival Short Film Corner. 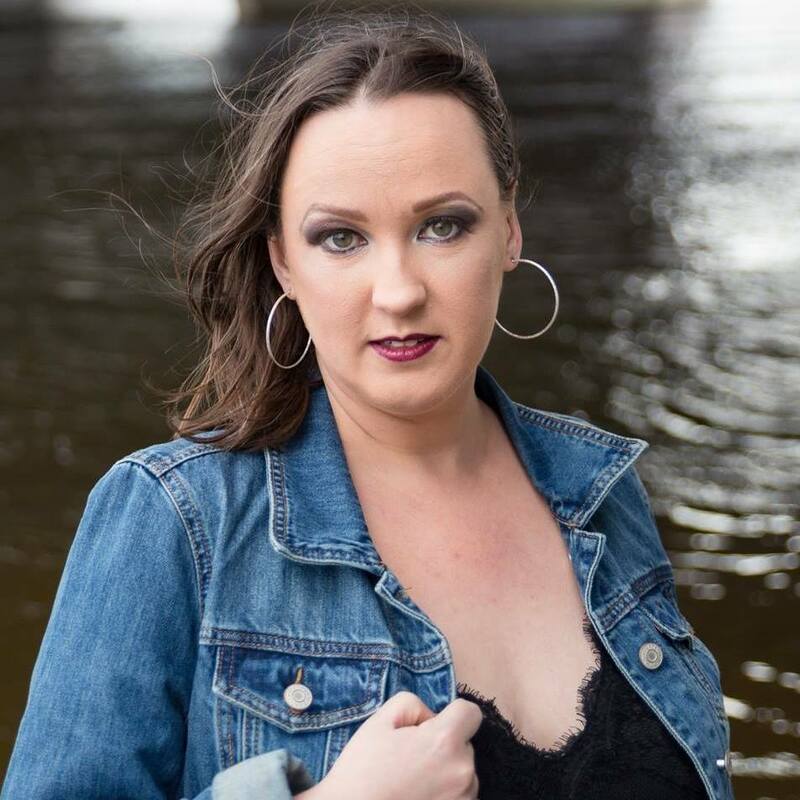 She is a graduate of the Algonquin College Television Broadcasting and Documentary Production Programs, and holds two Bachelors degrees from Carleton University in Political Science and Criminology. Currently, she is working in Ottawa as a freelance Production Coordinator and Script Supervisor. Morad Abdelbary: As a director what differentiates you between the rest? Is there a specific style you prefer? Kristen McNaule: I don’t have a specific style, I do a lot of different things. Currently I’m still in the emerging stasis so I like to play around in a lot of different ways with how I visualize things. MA: How do you compare yourself at the start of your career and now? KM: I’ve come a long way in a short time. I started young, my first film I did was in 2000. My turning point was when I met my cinematographer in college, so the production value has come a long way. By creating a better product people will want to collaborate with you, which is good. I also made a lot of good connections through Digi60, which makes low budget projects easy because you get good equipment contributed to us for free. So it’s a lot better. MA: What challenges have you faced when you were starting out? KM: Definitely starting slow. You have to fail to succeed, because when you do fail you learn from those mistakes, making a better product in the future. MA: If you were to take an apprentice, what qualities do you look for? KM: If I was going to take someone, I expect someone who is willing to put in the work with a good attitude. Someone to show up, who is going to take it seriously, committed and wants to be there. Reliability is crucial in this industry. MA: What was the most important lesson you had to learn that has had a positive effect on your film? KM: Having an AD (Art director) work with you on your projects. My end result was much better once that happened. MA: You are a collaborator. How have you discovered members of your team? KM: School was one way, and then Digi60 was the other way. Those are the two ways that I’ve made my connections. The other thing is that people you work with would bring in other people and so on, it’s all common interest where people want to do better, work on bigger projects and just helping each other out. MA: As a veteran in this industry, what advice would you give to the rookies? KM: Networking. Make sure you expand, willing to listen, and make sure you put time and effort in production design. Invest in an AD (Art Director). MA: What are personal characteristics that make for a good filmmaker? KM: You have to be able to step to criticism, it is always beneficial even if you don’t agree with it. Being able to adapt and compromise is crucial as well. MA: What makes a film great for you? Are there certain qualities that make a film better for you? KM: Characters. I need to identify with the characters a lot, that’s probably the number one thing. I love sharp writing, so Fight Club is just brilliant, it’s so larger than life and extreme but you don’t feel like it’s beyond the realm of impossibility. MA: What films have been the most inspiring or influential to you and why? KM: Good Will Hunting, that’s one of the films that got me into the film industry. It got me into screenwriting, I want to be able to make people feel like what I felt when I first watched the film. MA: What role have film festivals played in your life so far? Are they necessary? KM: I haven’t been to enough film festivals, but I think the thing with film festivals is to network with people who have been doing this for a while. Being able to go to those new markets and discover new talent, asides from that I don’t actually have an answer to film festivals. MA: If there is one or more thing you think would make the film industry better, what would it be? KM: More work, the rates are pretty low in Ottawa, there aren’t enough projects to sustain yourself. So just the lack of consistent work in Ottawa that really kills it, if you could have consistency then it would be great but it just isn’t there and I think that’s what is destroying it. MA: What is your greatest achievement to date? KM: The last Digi60 that we did was a pretty big achievement because I won an award for best director. Especially since I wasn’t really going to do it and didn’t have the time for it. MA: How did you come up with the idea for your film Saint Charles Place? KM: I was sitting with a friend at a party, and started flashing back to these war games with my brother. Everyone wanted to kill each other and I thought, we should do that. Then everything just unfolded and I thought of the whole thing in fifteen minutes. MA: Do you think it is essential to go to a film institute in order to become a successful film maker? KM: It depends on what you are doing, if you are doing technical then yes. But school also helps find you those networks and track them down, so it tells you where to look at least. MA: Is there anything you currently working on that you would like to share with your fellow followers? Can you tell us more about your upcoming project(s)? KM: I want to do my first feature soon, within the next year hopefully. I have a couple I’m working on so we’ll see what happens.